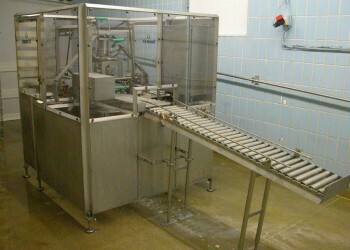 This machine washes and handles up to 750 live bird crates per hour and includes an emptying loop, a soaking bath system and self cleaning rotating filtersystems. 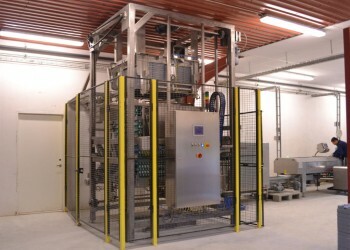 It can be designed for local and modular crates in same machine to fit you needs and requirements. 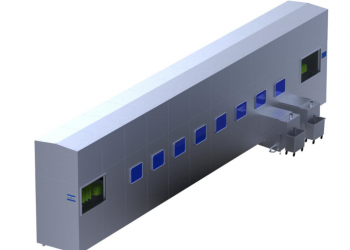 This is a standalone automated wash and palletizing system, with loading units for stacked trays, stacked pallets and dividers, connected to a kombi three level double lane wash-ing machine for plastic egg trays, pallets and dividers. 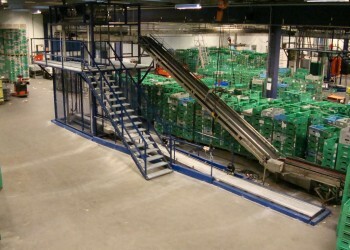 The capacity is up to 13000 trays and 180 pallets/dividers. 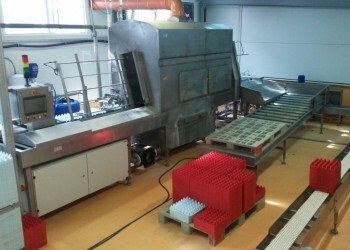 This machine is an automatic standalone washing machine with two infeed conveyors for stacked trays and de-stackers connected directly to the combi two level double lane washing machine for plastic egg trays, pallets and dividers. 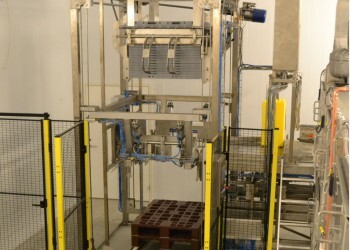 After the washing section is installed an extra stacker before going into the robot palletizer. This machine is a manual washing machine in to levels for simultaneously washing of up to 6500 trays and 100 pallets/dividers. 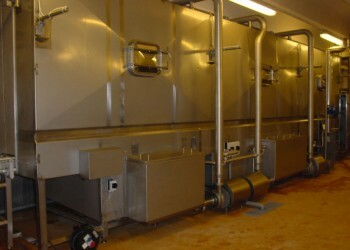 It includes a loading table for dividers/pallets, in-feed for trays, main wash with recirculation pump, after rinse, stacker for trays and a spin dryer. This machine is a standalone washing machine for simultaneously wash of up to 3000 trays and 60 pallets/dividers per hour. 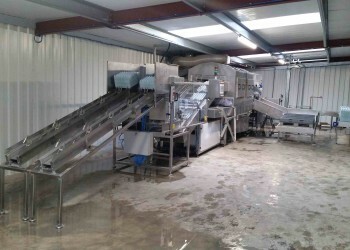 It includes a loading table for dividers/pallets, in-feed for trays, main wash with recirculation pump, after rinse, stacker for trays and a spin dryer. This machine is a standalone washing line for trays, consisting of manual infeed on de-stacker, washing machine, stacker and spin drying, with accumulation space for stacked trays. 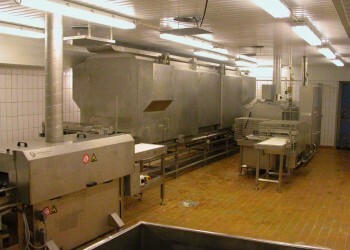 The capacity is adjustable from 1500-3000 trays per hour. 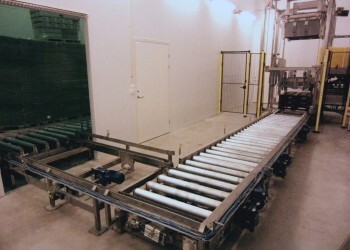 It is possible to buy extra optional equipment like a disinfection section or conveyor after the stacker. Manual Standalone washing machine for trays, with manual in-feed, washing machine, blowing, stacker, frequency converter for speed regulation of conveyor, modem for internet connection and light tower for operation status. The machine has a capacity of 2000 trays per hour and the trays are washed one by one to ensure the best result. 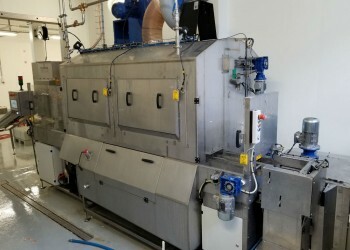 This machine can be used in any industry, which handles baking trays and it includes special designed rotating filters to sort out poppy seeds etc. 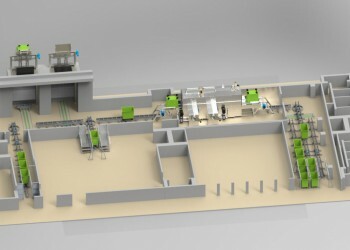 The machine can be designed to fit your existing production lines and needs. This machine is for any industry, which handles barrels and lids og the machine can wash both simultaneously af the lids go on an over-head conveyor and pass closely by nozzle jets on both sides. 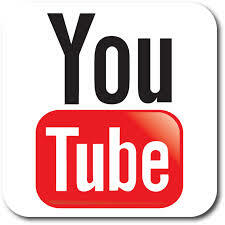 The machine can handle up to 750 barrels per hour and can be designed to accomodate your needs and requirements. A blowing section which can easily fit onto existing production lines and which can be used in any industry washing trays, crates, containers etc. High velocity air is led from the fans through the special designed air knives to ensure the best result. 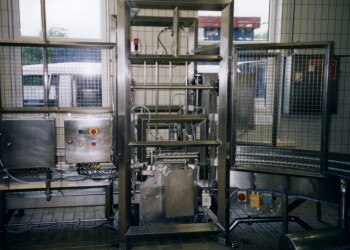 This in-line washing machine can wash different shapes and sizes of cheese with a two zone washing system to ensure high level of hygiene and cleaning. 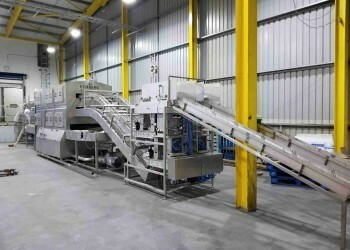 This machine can be tailored to fit your existing production and needs. This machine can be used in the hospital and pharmaceutical industry for beds, trolleys, wagons etc. 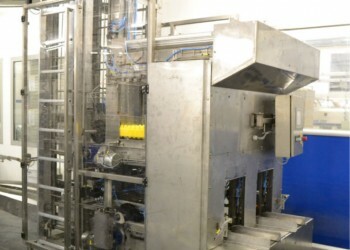 and it can be used in the food industry for racks, trolleys or stacks of e.g. horden frames. A single washing machine can handle up to 20 cycles per hour. This machine is for use in the hospital and pharmaceutical industry for washing beds, trolleys, wagons etc. 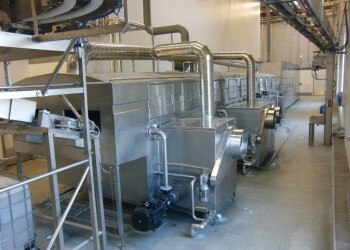 It has a high temperature drying program and can handle up to 5 cycles per hour. 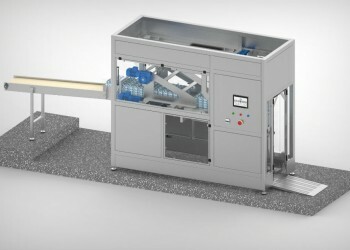 This machine can wash, dry and transport cans, glasses, pots, bottles and polybags, and a single machine has a capacity of up to 600 cans per minute. 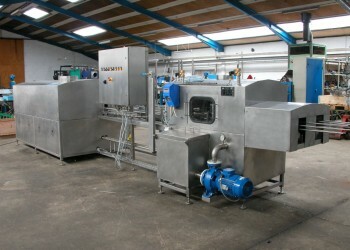 Complete machine with both washing, drying and waxing of cheese in different shapes and which can be fitted directly to your production and needs. 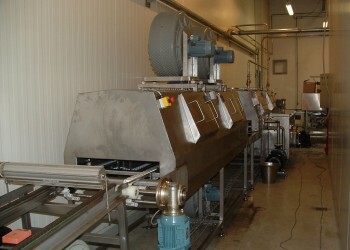 The machine has a two zone washing system for high level of hygiene and easier cleaning. 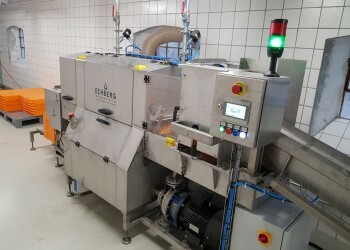 This is a combi machine for washing both boxes, lids and pallets in one machine with two to four zone washing and disinfection system for accomodating the high level of hygiene requirements. This washing machine can be used in any industry with a need for washing containers and it can be designed to fit your requirements. It can be both an automatic loading system and a stand alone container washer. 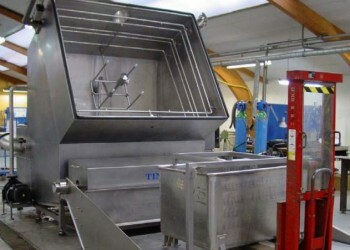 This is a washing and drying machine for crates which can be tailored exactly to your applications. The top cabin can be lifted for easier inspection and service and two to four washing zones is possible depending on your needs. This brochure entails an overview of some of out offered crate washing machines. 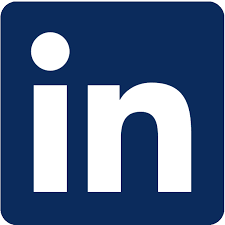 If you have any further inquiries please do not hesitate to contact us. 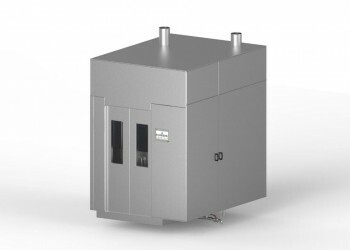 This machine can be used to handle freeze drying trays, molds or other types of trays. 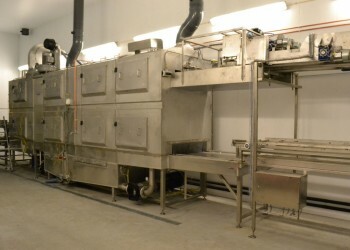 The tunnel washer can be designed for almost any number of trays per hour, and does also contain a hot air drying section. 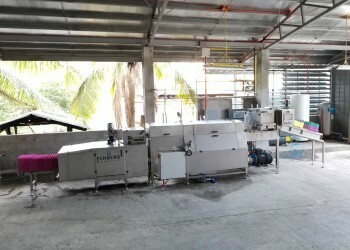 Full automatic container washer with two washing zones for high level of hygiene and cleaning. The machine can be designed to your applications. This machine is customized for the use in hospital and pharmaceutical industries and can be used for washing and disinfectionof both boxes, bottles and plates. 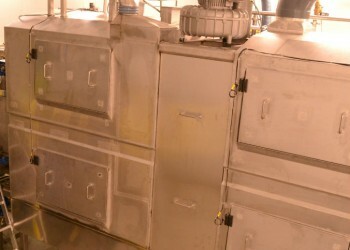 It has a high temperature drying program and can wash both continuously or step by step. This elevator and buffer can be combined directly to the loader and with an automatic buffer system you can improve the production time and reduce the needed manpower. This palletizer can be combined in-line after a farm packer machine and can be designed to fit your needs and requirements. 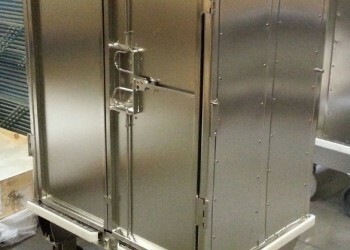 This cart sealed case is for use in the hospital and pharmaceutical industry for sealed transport. It is high temperature resistant for both washing and sterilization and it can be built to customers requirements and is designed for AGV transport. 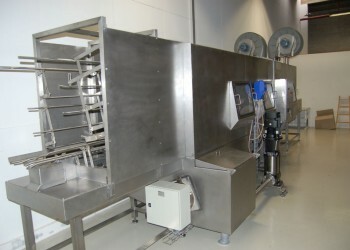 This machine is for piercing cheese in different shapes and sizes, and can have two or four piercing steps. The machine can be designed for your applications. 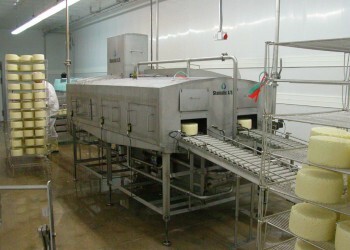 This machine can be used in cheese dairies where Horden frames needs to be handled. There is easy access to all parts of the machine for cleaning and service and it is constructed to accord with all current hygienic requirements. 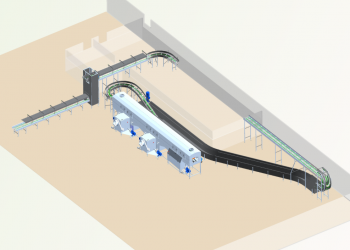 An automatic line for both cleaning, handling and sorting of pallets which is built up in modules to easily fit exactly your requirements and organization. 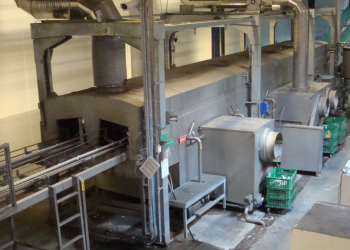 Tailored pallet handling solutions for both before and after washing lines can be designed to fit exactly the needs and existing production of your organization. This palletizer can be combines directly with washing lines to handle all items and therefore recuding manpower and increasing productitivy. 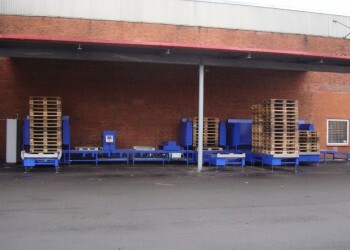 Out palletizing machines kan be made in different forms and kan be tailored to your production and needs. 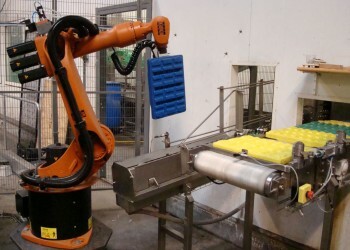 This robot can be used to handle all items which needs to be stacked er de-stacked. The gripping tool can be designed to fit your requirements and this robot can be used in combination with e.g. a washing machine to handle all washed items. This machine is for handling any items that needs to be stacked or de-stacked. The machine has a gripping tool which can handle different box dimensions simultaneously, and it can be combined with e.g. a washing machine in a in-line-system. 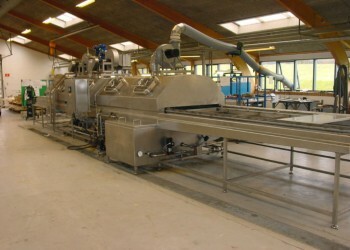 This machine can be used in the dairy industry for packing milk cartons, poly bottles etc. and can be tailored directle to your needs and wishes. This brochure is for the single line trolley filler. 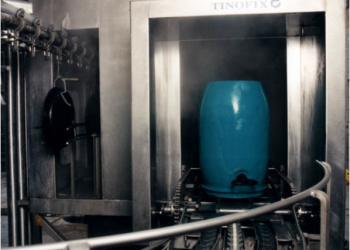 This automatic mixing and homogenizing tank can be designed for your needs and is built up in modules to accommodate any customer requirements. 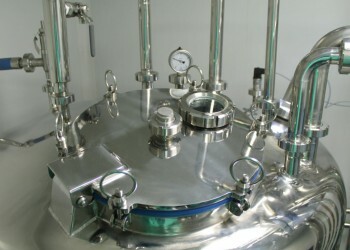 It can be used for mixing and homogenizing by dosing powder or liquid in the desired meassurements.